On December 1, 2016, Roof Hub installed completely new Charcoal shingles on this White Colonial home on Chesbrough Road in West Roxbury, MA. 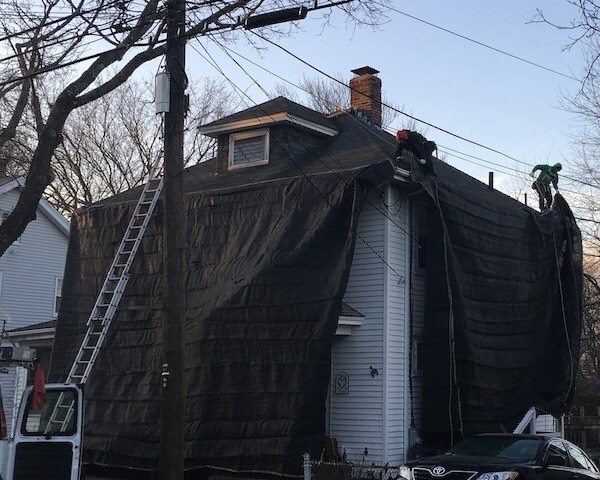 When these Chesbrough Road homeowners called Roof Hub out to West Roxbury, their Hip roof was 22 years old. Built in 1931, the Colonial home needed some professional help. 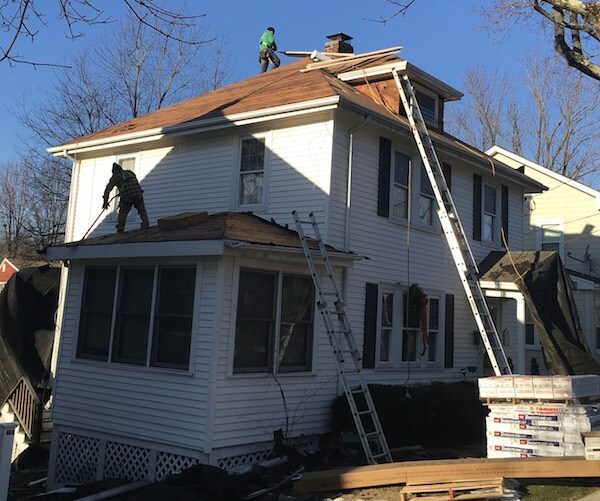 On December 1, 2016, we arrived in West Roxbury and removed 2 shingle layers. 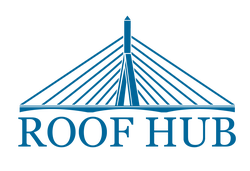 Next, we installed Roof Hub’s complete roofing system, including the Charcoal shingles you’ll see in the photos on this page. When we originally came out to this home for an estimate and inspection, the homeowner mentioned problems with leaks. Upon further investigation we discovered moisture on the inside of the wood decking which was visible from the attic space. These boards were replaced during the December installation to ensure the new roof was installed on a rock-solid foundation. When it comes to ventilation, Hipped roofs are tricky. From a roofing contractor perspective, decisions need to be made carefully because of how they’ll affect ventialtion effectiveness of the home. Installing ventilation the right way means the homeowner will experience less energy loss and the roof will last longer. Unfortunately with hip roofs, installing a ridge vent isn’t possible because there is generally living space directly under the roof. For this home, we installed a total of four new vents. The first was a new bathroom vent. The remaining three vents were roof vents. One of the best parts of replacing your old roof is that it’ll give your home a fresh new look. 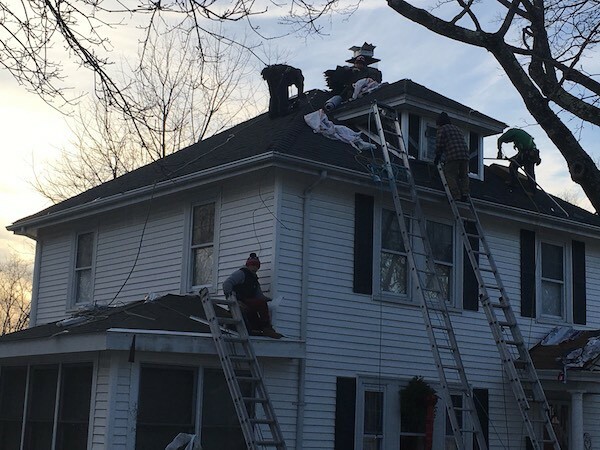 This feeling was even stronger for these homeowners because of the changes we made to the dormer! Previously, the sides of the dormer were covered by roof shingles. We upgraded the house with actual siding, and it came out looking very sharp. If you have dormers on your home and would like us to give you a custom estimate for this type of dormer siding when you have your roof replaced, please mention it to the Roof Hub expert who comes out to your home for your estimate.